In its heyday, the Avenue Coking Works in Chesterfield produced about 1,400 tonnes of coke and 765,000 m3 of manufactured gas per day. When the 98 ha industrial plant closed after 36 years in operation, the legacy it left behind was one of the most polluted pieces of land in Europe. We examine the complex web of chemical and hydrogeological issues and how the site is being transformed today into a new vibrant community. The original Avenue colliery opened in the 1880s and later expanded to include lime and iron works. By 1938, it was all disused and large areas of the site were returned to agriculture. Construction of the Avenue coking works began in 1952 and became operational in 1956, producing smokeless fuel through coal carbonisation. It was also designed to process chemical by-products. Gas was also produced and supplied to Chesterfield for industrial and domestic use. Image: 250 ft chimneys lying idle at the former coking works in 1999, picture courtesy of Derbyshire Times. The coking plant produced odourless fuels which were the by-products formed by the carbonisation of coal. These by-products included acid tar, ammonium sulphate, pure benzene and toluene, naphthalene, nickel, zinc, thiocyanate, phenols and other acids and organic compounds. The site closed in 1992, with the loss of more than 500 jobs, due to market conditions and the changes in regulation requirements for plants of this type. Following decades of industrial productivity, the heavy contamination of the site and the subsequent contamination of the adjacent River Rother, the Avenue site has been dubbed one of the worst single point sources of pollution in the UK. Under the direction of The HCA (Homes & Communities Agency) and their executive non-departmental government body Homes England, the 20 year challenge to re-mediate a seemingly impossible set of pollution conditions began, using a wide variety of consultants and contractors. Homes England knew the site would be problematic from the outset due to its well-documented industrial history. Working with the former East Midlands Development Agency, it commissioned environmental consultancy Jacobs to develop a remediation strategy for the land. So complex was the job that the actual physical remediation didn’t start for a decade and hundreds of technical experts worked on the project over the years. SUEZ took up rehabilitating the seriously polluted land and restoring it to its natural state. The ultimate aim was to make the site compatible with tertiary, cultural and sporting activities and restoring a natural reserve. It took seven years from inception of the works and was completed in March 2017. Deme Group was also tasked with purifying the runoff water, process water and groundwater. To remove the wide variety of heavy metal contaminants, a chemical and biological wastewater treatment plant was developed. This consisted of an oil/water separator, coagulation and a sedimentation stage. The settled sludge was removed for bioremediation. As a final step ion exchange was used to facilitate the removal of cyanides/thiocyanate and heavy metals. Overall, some 2.5 million cubic metres needed to be excavated and 600,000 cubic metres of contaminated sludge had to be treated. Clean soils were then reapplied long after all of soil had been removed and groundwater treated. It’s relatively quick to remove soil, but groundwater treatment can take up to two years. The Avenue Site’s sensitivity close to the River Rother also made the process challenging in terms of containing pollution transmission paths. Here is some Drone footage of the site still under remediation, courtesy of Commercial Landscape contractor, NT Killingley Ltd, based in Chesterfield. The Avenue Washlands Park was the first real community benefit delivered from the remediation. 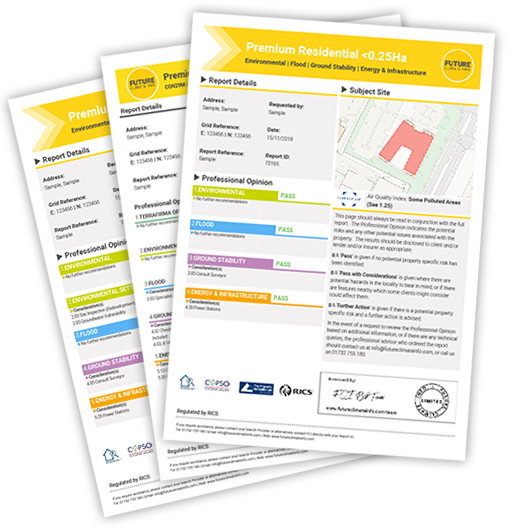 TEP were commissioned by Homes England to develop a landscape master plan. This included new areas of wetlands, grasslands and reed beds, diversion of the River Rother, new and enhanced woodlands and hedgerows, extended and improved habitats. Following a period of ecological and landscape survey, Environmental Impact Assessment (EIA) and consultation, TEP’s masterplan formed the basis of planning approval in 2004. The Washlands Nature Reserve was created between 2005 and 2008 and incorporates a Learning Centre, now managed by the Derbyshire Wildlife Trust. The reserve is now important for its water voles and great crested newts. In addition, farmland birds such as skylark and yellowhammer are well established here, while wetland birds including lapwing, tufted duck and little grebe breed well. The 50-hectare park also boasts a football ground, cricket pitch and fishing ponds as well as a number of walking, cycling and horse riding routes. This is an important strategic site for North East Derbyshire District Council. There is clear housing need in the area and the Site’s proximity to the A61 trunk route makes the area popular for new development. Mindful of its location close to the gateway to the Peak District, the Site is a valuable buffer to sprawl for to both the District and Wingerworth Parish Councils as it delivers against this housing demand. The first properties started to be built in the autumn of 2017. Kier Living is now working to deliver 252 properties at Mill Lane in Wingerworth. 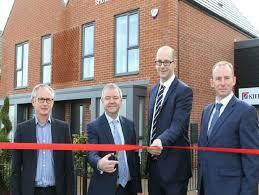 Twenty-seven of the homes will be available for affordable rent or shared ownership. The site layout has shunned away from crowding in as many units as possible to ensure that residents get a sense of space. Bellway is also delivering units in an area off Mill Lane to be called Brailsford Park. Image: Martin Bessant, regional director at Kier Living, and Barry Cummins, of Homes England, are joined by councillors Graham Hill and Bryan Harrison for the official opening of the show homes at the development of the former Avenue coking plant. Picture by Jason Chadwick. 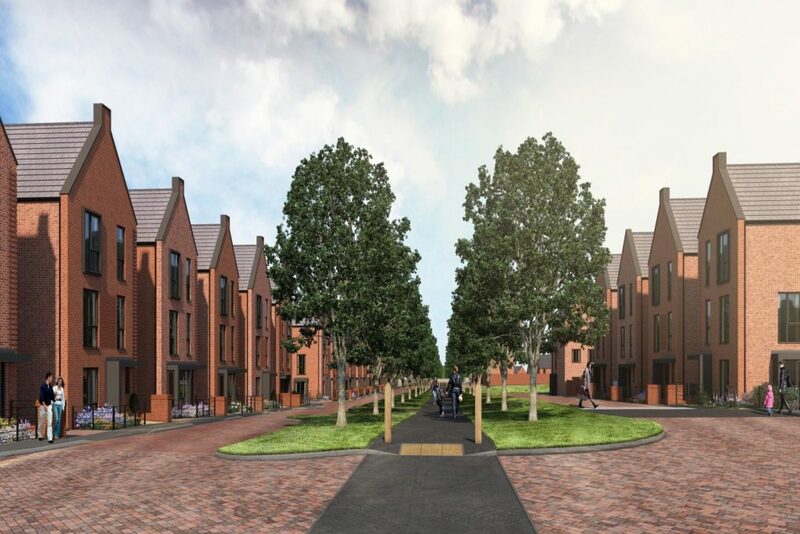 A village green will be created, together with footpath routes and the tree-lined central avenue. This takes inspiration from the historic Wingerworth Estate, a grand stately home which existed on the site from the early 1700s, but fell into decline in the 1920s. The first show homes have launched this month, with the first units being ready for occupation in a few months. Three areas on the Avenue Site continue to undergo remediation and are not accessible to the public. These areas remain fenced off and are clearly marked. Although this is an exceptional case due to the size of the site, the fact it could be cleaned up shows what can be achieved with brownfield sites. If it can be done here, then it’s technically feasible to deal with the vast majority of sites in the UK. In a future blog, we will explore the problems with identifying and bringing forward contaminated land to prioritise it for residential development. Given the current pace of the regime, it could be some while yet before huge tranches are brought to market and supply starts to bridge the gap to meet demand.